Perfect Pet Dog Training and FITspiration FITness have joined forces to create new exercise programs for you and your dog! This will be a one-stop fitness program where everything gets done in an hour (saving time and money) and nobody is left behind or at home! 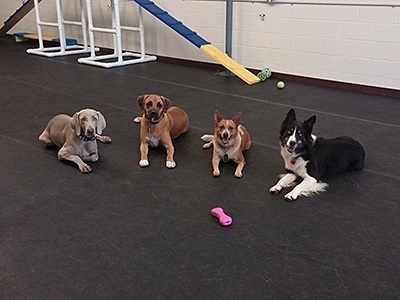 When you take a class you will be working with 2 qualified professionals – fitness and dog trainers. Our programs are designed for people of all ages, fitness levels and professions that have one thing in common — they love their dog and want to spend time with their furry friend. We welcome dogs of all sizes and breeds. Our goal is to introduce you to a variety of events and classes and surround you with positive and supportive people so that you are having so much fun that you don’t even realize that you are working out! One time enrollment fee of $49.95 for Group Class Bootcamp. Enrollment Fee includes: health evaluation, dog temperament evaluation, one dog obedience lesson, packet with bootcamp information and obedience training tips, free access to additional Happy Paws Bootcamp events (monthly hike, etc). **Special** – Enrollment Fee waived for the month of August 2014! Contact us now to take advantage of this special offer!